A new website was launched on April 15 that aims to become a valuable online resource for Native American tribes, organizations and individuals who are involved in food systems and agricultural efforts, and/or who are aiming for better health and nutrition for their families and communities. 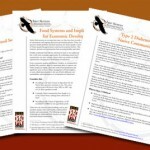 The site is www.NativeFoodSystems.org. 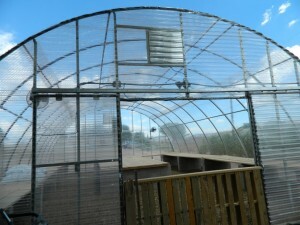 It was created by First Nations, with funding provided by the W.K. 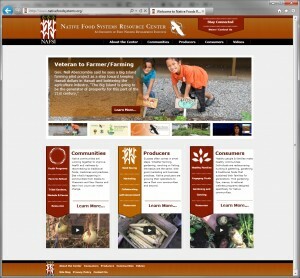 Kellogg Foundation. 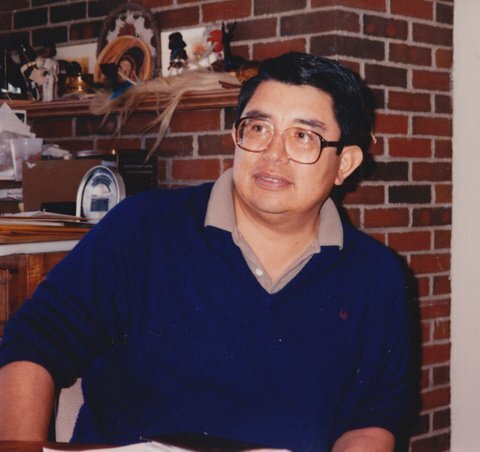 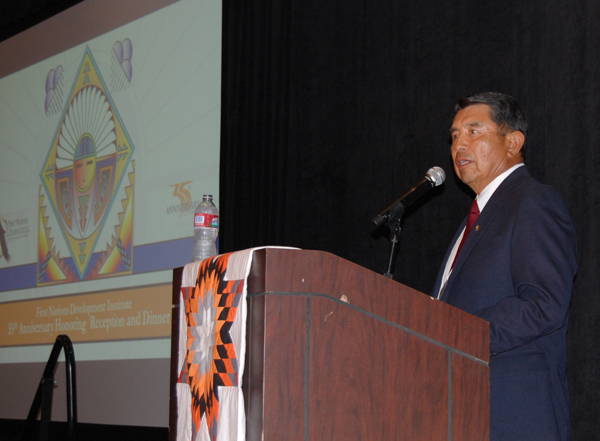 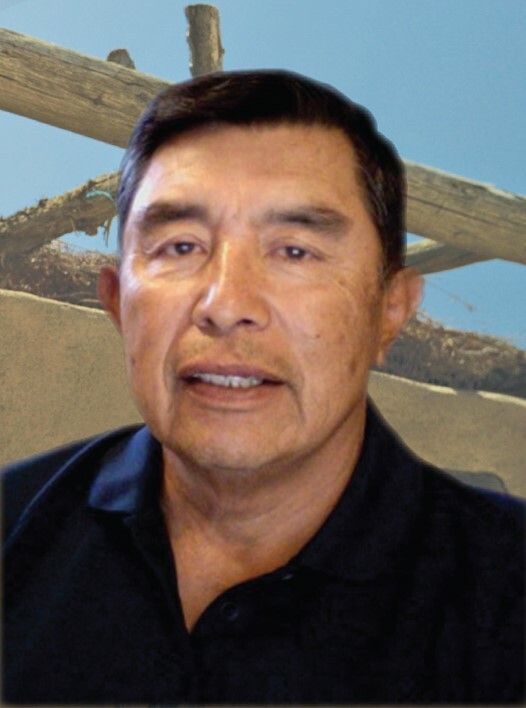 For more than 32 years, First Nations has been working to restore Native American control and culturally-compatible stewardship of the assets they own – be they land, human potential, cultural heritage or natural resources – and to establish new assets for ensuring the long-term vitality of Native American communities. 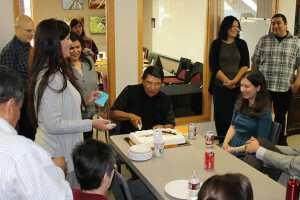 Part of this effort centers on food, through First Nations’ Native Agriculture and Food System Initiative, or NAFSI. Under NAFSI, First Nations also provides grants to numerous food and agricultural efforts by tribes and nonprofit organizations, and recently announced the awarding of 10 such grants totaling $375,000. 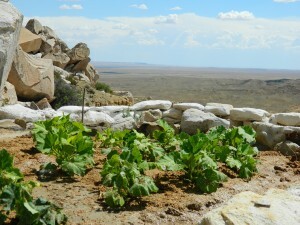 First Nations, in partnership with the Taos County Economic Development Corporation in Taos, New Mexico, is also working to create the Native American Food Sovereignty Alliance, which is intended to become a sustainable and organized movement that is Native American driven and controlled, nationally active and dedicated to addressing food security, hunger and nutrition in Native American communities at the national, tribal and local levels. 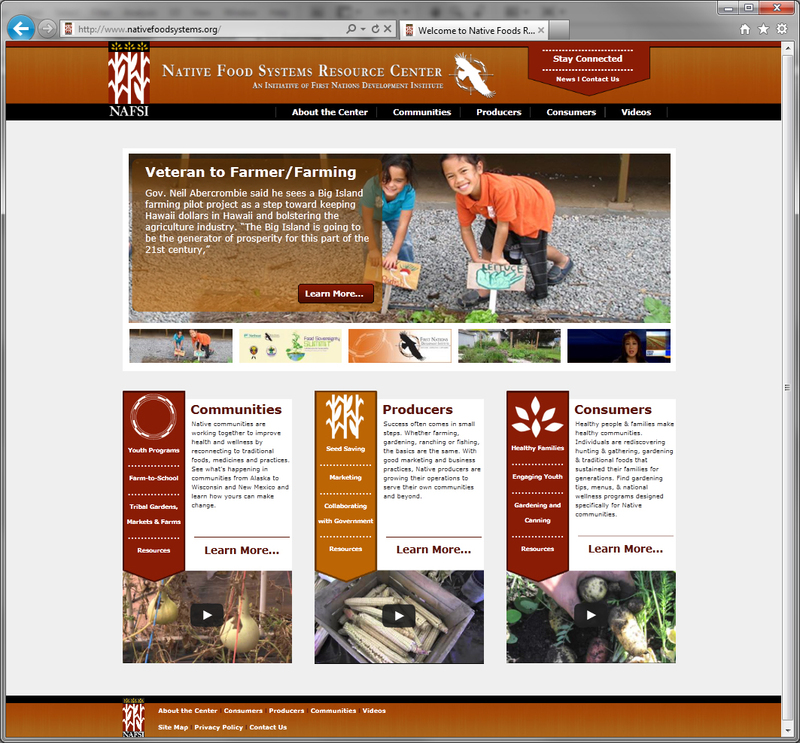 The new www.NativeFoodSystems.org website features a diverse variety of resources and information, ranging from tribal gardens, farms and markets, to youth programs and farm-to-school efforts, to seed saving, to traditional plants and medicine, to food marketing and handling, to home gardening, canning and healthy family eating. 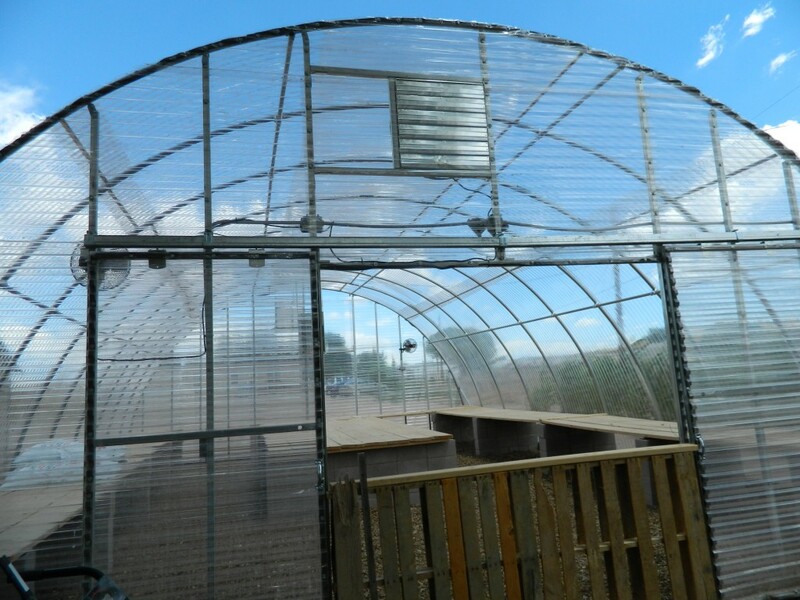 The site was designed and built by First Nations Project Officer Ruben Hernandez, and research and content was provided by Andrea Cournoyer of Plain Depth Consulting.